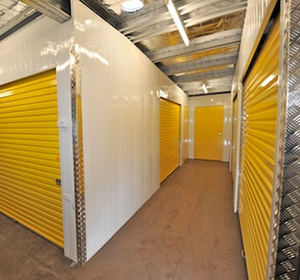 We are property consultants & valuers to a large number of retail, commercial & industrial clients, specialising in the Self Storage industry. Collins & Associates provides quality Director-only valuation advice and detailed market commentary for individual self storage clients, banks and financial institutions, covering markets throughout provincial and suburban Australasia. For further details, please visit our about us page, get in touch or peruse our services listing. We have a selection of testimonials available below, with many more on our dedicated Testimonials page. Investec Property Limited as the Responsible Entity for the Investec Property Opportunity Fund harnessed Malcolm Collins’ significant insight of the key drivers and value metrics of the Australian Storage Market in its decision to acquire 11 storage facilities in December 2008. Our investment was made at a time of market uncertainty but with Malcolm’s assistance we were able to feel confident in our decision to invest at such a difficult time. Mal has always impressed me as a valuer who brings a high level of diligence, skill and dedication to his job. He thinks deeply about the task involved and is always prepared to look behind the market evidence, to express an opinion that is reasoned and based on a detailed market analysis. His professionalism at all times cannot be questioned. Please get in touch with us via telephone or email.